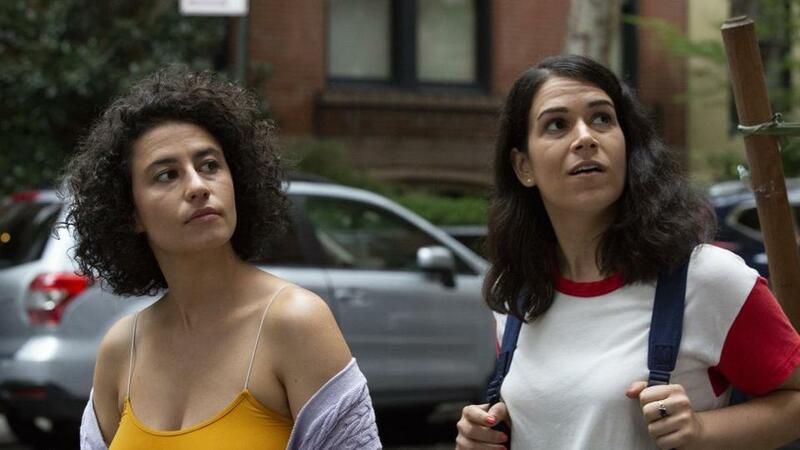 Abbi Jacobson (right) and Ilana Glazer end five seasons of “Broad City” on Thursday. Your TV GPS, Globe critic Matthew Gilbert’s guide to what’s on television, appears at the beginning of each week at BostonGlobe.com. This column covers March 25-31. On Monday morning at 10 on the West Coast, Apple is going to announce a new media project that will likely include the company’s plans for streaming original content. It will be interesting to track the Apple expansion in the age of subscription overload, when viewers are already being deluged by add-ons — Amazon, Hulu, HBO Now, Netflix, DirecTV Now, DC Universe, Acorn TV, CBS All Access, and Shudder, as well as two other high-profile streamers coming soon from Disney and WarnerMedia. Will people be willing to pay for yet another streamer? Some of the Apple content may be free for owners of Apple devices, but there will likely be a pay subscription component. • The limited series “Defending Jacob,” based on William Landay’s novel, will star Chris Evans as a man dealing with allegations that his 14-year-old son committed murder. • A comedy called “Dickinson” will feature Hailee Steinfeld as the poet Emily Dickinson coming of age and Jane Krakowski as her mother. • A still-untitled drama set at a TV morning show will star Reese Witherspoon, Jennifer Aniston, and Steve Carell. • “For All Mankind,” a space drama from Ronald D. Moore of “Battlestar Galactica,” will star Joel Kinnaman. • J.J. Abram’s half-hour dramedy “Little Voice,” about the musical world of New York, will include music by Sara Bareilles. • Jennifer Garner will star in “My Glory Was I Had Such Friends,” based on Amy Silverstein’s memoir about a heart transplant and friendship. • “See” will be an epic drama set in the future starring Jason Momoa and Alfre Woodard. • “Swagger,” inspired by the NBA star Kevin Durant’s youth, will look at the world of AAU basketball. • There will also be series from M. Night Shyamalan, Kristen Wiig, Damien Chazelle, and Rob McElhenney and Charlie Day. “Veep” is back Sunday for its final season, with (from left) Tony Hale, Sam Richardson, Reid Scott, Julia Louis-Dreyfus, and Gary Cole. 1. NOOO, Qween. “Broad City” will air its series finale on Thursday at 10 p.m. It has been one of my favorite shows for all five seasons, not least of all thanks to its endless raunch, poop jokes, and drug adventures. It’s the story of being in your 20s, having a best friend, and living without a lot of money in New York City. It’s also the story of finding yourself. The episodes leading up to the end have been moving, as the friends begin to separate, and filled with lots of Easter eggs. Extra: Ilana Glazer and Abbi Jacobson are on “The Daily Show With Trevor Noah” on Monday night. 3. Also back with a new season this week: “Barry,” the bittersweet story of a hit man who takes acting classes. Bill Hader is aces as the war veteran trying to change, and Henry Winkler’s a kick as his acting coach. Hader is promoting the show on ABC’s “Jimmy Kimmel Live!” on Monday. “Barry” returns Sunday at 10 p.m. on HBO. 4. Will Ruth Wilson ever be as fantastically beguiling and slippery as she was in that first season of “Luther”? I’m still waiting, even after her seasons on “The Affair” (for which I still feel she was miscast as a Montauk local). She’s in a new PBS “Masterpiece” series called “Mrs. Wilson,” which is based on the life story of Wilson’s real grandmother, who discovered that her late husband had been living a double life. Episodes one and two premiere on Sunday at 9 and 10 p.m.
5. Oh yes. This week on “Saturday Night Live,” Sandra Oh will make her first appearance as host. She’s so damn likeable, I’m betting the episode will have a good vibe. She’s promoting the return of BBC America’s “Killing Eve” (on April 7), and the musical guest is Australia’s Tame Impala. 7. FX’s “What We Do in the Shadows,” Wednesday at 10 p.m., is an amusing mockumentary about three vampire housemates on Staten Island. Based on the 2014 movie, it spoofs all the vampire tropes while also giving us a story worth following. With shades of so many influences from “Young Frankenstein” to “The Office,” and with an “energy vampire” who feeds by boring people into a stupor, it’s a lot of fun. 8. Amazon has turned the 2011 film “Hanna,” about a 15-year-old girl raised in the wilderness, into a series. The draw for me is the reunion of Joel Kinnaman and Mireille Enos, who co-starred in “The Killing.” Esme Creed-Miles stars as the titular character, played by Saoirse Ronan in the movie. The first season is on Amazon on Friday. 9. At first, I was disappointed by “Miracle Workers,” the TBS series from Simon Rich that stars Steve Buscemi as a slovenly God and Daniel Radcliffe as one of his angels. But, as the angels have tried to make a couple fall in love in order to save the world, thereby deconstructing the meaning of romance, the writing has gotten smarter. Anyhow, it has an hourlong finale on Tuesday at 10:30 p.m. “The Other Two,” Comedy Central’s thoroughly enjoyable look at fame and envy, also finishes its first season, on Thursday at 10:30 p.m.
It’s a “Partridge Family”-themed episode with guest star Danny Bonaduce. ABC, Tuesday, 8:30 p.m.
Sanjay Gupta looks into why American life expectancy is decreasing, and I’m thinking the title has something to do with it. HBO, Monday, 9 p.m.
A new reality series hosted by Tim Tebow finds contestants trying to win $1,000,000 by running a challenging course. CBS, Wednesday, 9 p.m. The eighth season of the PBS period piece premieres. WGBH-2, Sunday, 8 p.m.
Greg Barnett in History’s "Jesus: His Life." 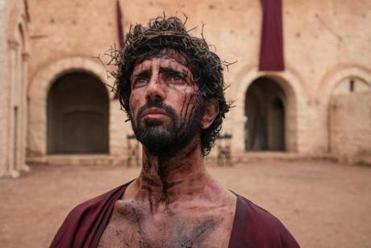 This eight-episode series mixes scripted scenes with expert interviews to look at Jesus through the eyes of those closest to him. History, Monday, 8 p.m.
An ensemble sitcom set at a bar where everybody knows your name. NBC, Thursday, 9:30 p.m. Comedy is famously difficult to do, even though, at its best, it looks easy. But many fine comics yearn to do drama. It gives them a sense of being taken seriously, which makes sense since, while comedy may draw big audiences, it’s the angsty roles that tend to get the awards recognition. Watching Aidy Bryant as Annie in “Shrill,” I felt as if I was watching the “Saturday Night Live” regular take a solid step into non-sketch, dramatic territory. What’s unusual about her turn as a heavy woman too accustomed to being treated poorly by women and, in particular, men, is that she plays some of the more painful scenes with a smirk on her face. It’s Annie’s character’s default face. And as she begins to drop her submissiveness, as she begins to defend herself and let go of internalized self-loathing, her smirks come less frequently.